Ideas to make this year’s Easter egg hunt more egg-citing for kids and adults! There’s lots of Easter fun to be had locally and in your own backyard. Here are fun twists on the traditional egg hunts that will delight both youngsters and grown-ups. Make your egg hunt more challenging by turning it into a scavenger hunt. Make up your own clues or use free printable ones from Play Party Plan like this one: “Bunnies don’t wear socks but they do have cute little feet, hop now as fast as you can to where you would go to eat.” The clues are generic enough that anyone can use them. You can also find more scavenger hunt clues based on kids’ ages (from 2 to 18) at A Wonderful Thought. Are your kids swimmers and mermaid wannabes? One of the most unusual Easter events around is the Annual Underwater Easter Egg Hunt at the Holland Community Aquatic Center (April 20). The pools will be filled with hundreds of plastic eggs for kids to collect and trade in for goodies. Details here. 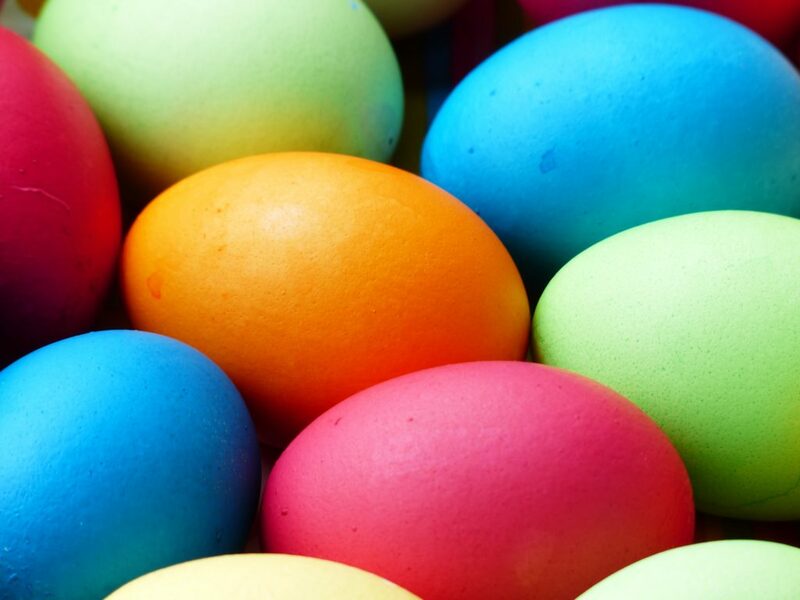 If you usually have an egg hunt at home, change things up and try one of the many Easter Egg Hunts and Easter Bunny sightings around Grand Rapids and Kalamazoo. You’re never too old for Easter fun and we like these ideas from Country Living that get older “yolks” in on the fun. Have a Money Egg Hunt—Fill eggs with scratch-off lottery tickets, $1 bills and some bigger bills in the luckiest eggs. If everyone at your Easter party is of age, pass out 6-pack carriers instead of baskets and set them off to search for stouts, pale ales and browns that you’ve hidden.